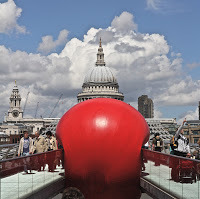 Home »Photography»London 2012 – Such a Great Summer! London 2012 – Such a Great Summer! It’s been such a great summer in London what with the Queen’s Jubilee, the Olympics and Paralympics and a host of other supporting events that have combined to make such a great atmosphere. I’ve uploaded a few of my favourite photos taken over in and around London over the summer – click on the link below.